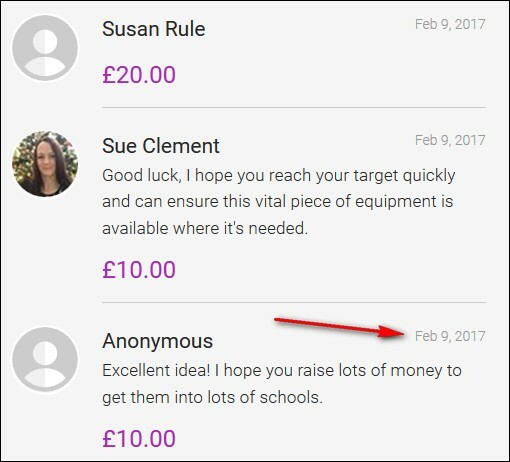 Three months after hosting a JustGiving crowdfunding campaign to purchase and donate an anti-choking device to local schools, the Hull Wyke Round Table (HWRT) -- a charitable organization in Yorkshire, England -- has sent donors a refund offer letter. The failed project raised couple of thousand pounds -- including two quid I kicked in. The project was cancelled after a comprehensive medical review by a local government's public health department in partnership with area hospitals. But the HWRT's refund letter doesn't mention that -- and it's unclear why not. A five-year-old boy has died after choking on his food during a school lunch break [yesterday] at Anlaby Primary School. Hull Wyke Round Table (HWRT) has raised enough money to fit primary schools in Hull and East Riding with life saving anti-choking devices. The charitable organisation has raised enough money to install LifeVac units in 17 primary schools in west Hull and East Riding. They are now looking to raise more money to install more devices in more schools. In other words, in less than a week the HWRT apparently came across the LifeVac device, evaluated its efficacy and safety, and raised an unreported amount of money from an unreported source to install it in 17 schools. If the Hull reporter looked into any of those details, they're not in the article. In any event, let's call that Round One of the fundraising by the HWRT, an organization which, according to its website, apparently has no fixed address, phone number, or e-mail address. They are now looking to raise more money to install more devices in more schools. ...HWRT member Edd Wheldon said: "I came across this device and we thought we would like to offer to install them in primary schools in our area. "We just thought it might be something which could help prevent tragedies from happening." ...Wheldon said the supplier had also offered to visit each school interested in having it installed to train staff members. In a letter to the schools' headteachers, Mr Wheldon asked them to confirm whether they would like a unit by February 17. You can donate to the project online here. The link in the last sentence leads to the HWRT's fundraising page hosted by the popular crowdfunding platform JustGiving.com. Here are the first donations, indicating that the campaign began on February 9, just five days after Hull newspaper reported the choking tragedy. Based on responses to FOIA requests, on February 9 Edd Weldon circulated the following e-mail to local schools in which he offered a "Wall Mounted (LifeVac) kit to be mounted in your dining area. 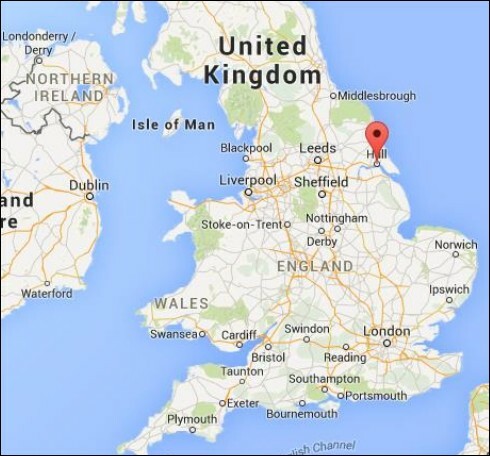 The supplier has also agreed to come and give you a training session of the product at a central location hosted by Hull Wyke Round Table." Interested parties were instructed to contact LifeVac representative Eric Banagan "if you have any technical questions." Click here to download a copy of Wheldon's e-mail to the schools which included three pdfs consisting of about 50 pages of materials that appear to have been provided by LifeVac, including a June 14, 2016 North Devon News article about a nurse who claims she used the device to save the life of a choking woman at a nursing home in Llanybydder, Wales. Wheldon's letter claimed, "This device is already in 100 schools in the UK and has saved three lives recently." The same claims were in HWRT's JustGiving fund raising solicitation. Per my March 7, 2017 item, when I asked Wheldon for details about the three saved lives and a list of the 100 schools, I didn't receive a reply. Presumably the HWRT failed to ask the UK Medicines and Healthcare products Regulatory Agency (MHRA) for that information before initiating the fundraising project. And the HWRT doesn't apologize to donors or the schools for failing to perform such minimal due diligence. It's also unclear why the HWRT finds the MHRA's position to be "disappointing." That is, why would they want to install an unapproved medical device in local schools? But the letter inexplicably fails to tell donors the real reason the project was derailed. In response to HWRT's fundraising, the local government East Riding of Yorkshire Council initiated an expert medical review, the results of which were circulated to area schools in the following March newsletter. Via the newsletter -- click here to download a copy. (Guidance) has been obtained through the Councils Public Health team, in partnership with Hull and East Yorkshire Hospitals (HEY), who have comprehensively reviewed the use of such devices particularly in a paediatric context. It is recommended at this time that the device is not used until further evidence on suitability for paediatric use is published. According to the e-mails below, Wheldon was aware of the Council's findings on March 16, two months before the May 15 refund letter. What took his organization so long to offer refunds to me and other donors? Why didn't the HWRT's refund letter inform donors about the medical review (which, incidentally, is apparently not available via the Council's website)? What happened to the money the HWRT raised in Round One of the fundraising? When and how did Edd Wheldon "(come) across the device" as he told the Hull Daily Mail? And what due diligence did his organization conduct before initiating a project that wasted the time of the schools, local government, and donors, and which presumably resulted in taxpayers paying for the medical review?